LAHORE: PTI’s government-in-waiting will amend the Punjab Local Government Act, granting more power to local government institutions, Jehangir Khan Tareen announced on Sunday after holding a meeting with PML-Q’s Chaudhry Pervaiz Elahi. It merits mention here that Elahi was recently nominated as the speaker of the Punjab Assembly by chief of the Pakistan Tehreek-e-Insaf (PTI) Imran Khan. 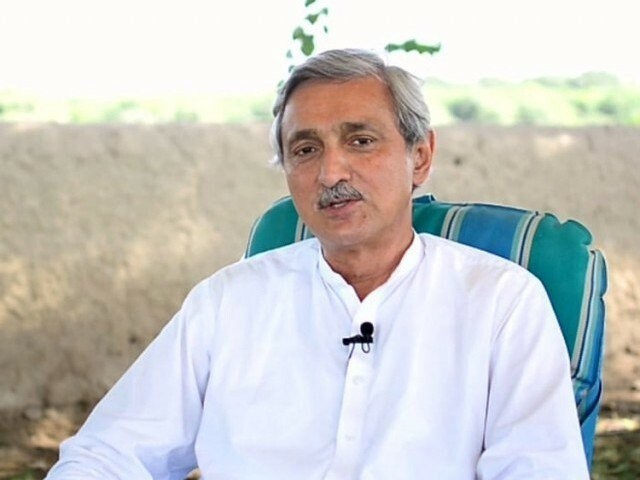 Tareen, who was accompanied by president of PTI’s Central Punjab chapter and MPA-elect Abdul Aleem Khan and Ishaq Khakwani, appreciated Elahi’s support, enabling PTI to form government in the province. He said that PTI now had visible majority in the Punjab and the coalition provincial government would work in close coordination with its allies, especially PML-Q. This coalition, he said, would revamp health and education sectors in the province. Later, the PTI leader told media persons that after coming into power, his party would expose the Sharif family’s wrongdoings. Accusing the Sharif family of destroying all public institutions, he said that Shehbaz Sharif had failed to deliver because of his wrong policies. PTI, he said, would prioritize completing all public welfare projects and render historic development work in Punjab. Contrary to Shehbaz Sharif’s scam involving 56 companies, Tareen indicated that his party would also introduce reforms in police and other public-sector institutions for improved quality of service. According to him, his party would not shy away from owning its mistakes and welcome productive criticism. He said that PTI was in talks with PML-Q for finalizing names for the post of the speaker, deputy speaker and chief minister of Punjab. The final decision would be taken by Imran Khan, he said. Both parties are also consulting on solving basic public issues. Chaudhry Pervaiz Elahi told reporters that Shehbaz Sharif had badly disappointed the people of Punjab. No PML-N project was beneficial for the common man, he said. Alluding to PML-N’s tendency for political maneuvering, he said that there was a great difference between detaining lawmakers in Changa Manga and “politics of aeroplane”. Elahi said that PTI had not given him any target whatsoever. Pledging to formulating laws for people’s welfare, he said that Shehbaz Sharif would also go behind bars in the Model Town carnage case. The meeting was also attended by PML-Q’s Chaudhry Shujaat Hussain, Chaudhry Moonis Elahi and Tariq Bashir Cheema.